Three people were killed in a morning crash. 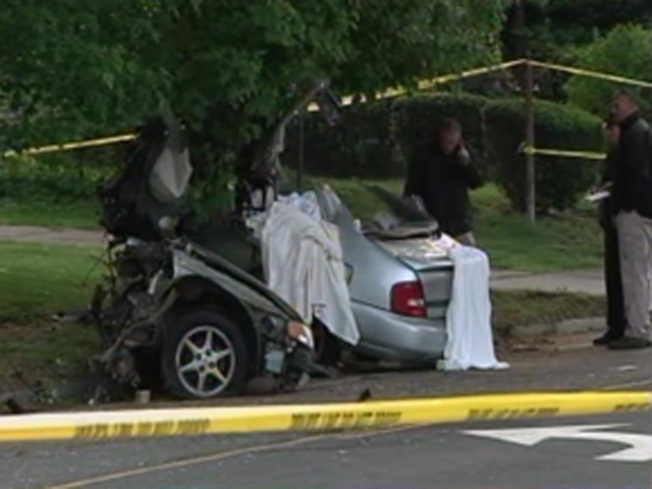 Three young adults from Hartford were killed when their car hit a tree on Tower Avenue early Monday morning, police said. The Hartford Fire Department tried to extricate all four people in the car, but Shakela Patterson, 19, Anthony Smith, 22, and Carlos Diaz, 22, were all presumed dead by emergency personnel who responded, police said. Ladisha Williams, 17, of Hartford, was pulled from the car and taken to St. Francis Hospital, where she is listed in stable condition. Police said the car, a silver 2000 Nissan Altima, was traveling at a high rate of speed when the driver lost control and hit a tree between Hampton and Barbour streets in the North End of Hartford around 4 a.m. Monday.